We all have our opinions about why Selma was snubbed in so many Oscar categories. Here are mine. But Captain America: The Winter Soldier star Anthony Mackie has found a way to place blame everywhere except where it belongs: with White Hollywood. We love your work Mackie, but it’s becoming difficult to respect you. In an interview with TheGrio.com, Mackie shared his perspective on the current state of Hollywood and how “race-themed” films fit into that. Thanks to the Sony hacks, we know that studio heads will often choose White over Black actors for fears that a movie might not do well overseas with a Black lead. Mackie confirms that those fears exist, going further to say it is up to us to get our films made. No matter how much we may hate to admit it, this much is mostly true. Oprah was behind Selma. And the long road to getting a film about Martin Luther King Jr. made has been heavily chronicled. At the same time, let’s not act like Blacks have the presence in Hollywood for this to be an easy or highly repeatable feat. There are many pitfalls in the movie making process (scripting, funding, casting, distribution … the list goes on), and if you don’t have control over all the links in the chain, your effort may be for naught. That should not be ignored or downplayed. I can’t fault Mackie too much for this interview. After delivering great performances for years, he is finally enjoying some shine in Hollywood. The man is getting that Marvel money now. But, I just don’t appreciate him covering for White Hollywood-types and their anti-minority antics. So, he’s indirectly saying that the performances weren’t that great in Selma? They weren’t up to par? Ava and company should have “stepped their game up?” This is the same type of thinking and messaging that continues to restrict Black progress in the U.S. If you keep telling folks that all they need to do is “better” or that they just need to work harder, you completely ignore the systematic blockades that are the real issue. Selma didn’t need to be better to earn more nominations. Telling people that only makes them think that being recognized for their brilliance is impossible. Ultimately, Mackie flip-flops on his Hollywood views and blames Selma’s box office and awards reception on people experiencing race fatigue. I can’t say definitively whether this is true or not, but it is demoralizing to hear this from a leading Black actor. How are people being “bombarded” with race? Is that all Black people are? Race? And how exactly is 2-3 films a year bombardment? With that statement, he walked right up to the White patriarchs in the entertainment industry and kissed their feet. He told them it is OK to view any material that centers Black actors as “race-themed” and of a different class than other films. He cosigned. Still, that wasn’t the worst of what he had to say. Mackie played respectability policeman for his nephew, and subsequently, any Black youth that idolize him. There is so much wrong here that I’m amazed he was able to pack it all in. First he hangs his nephew’s individuality on what hairstyle he chooses. Somehow, expressing himself and making decisions as to how he wants to look means he is losing his sense of self. Would a fade make him more of an individual? Would that preclude him from being part of the problem? Maybe Mackie believes “the description” is always black males with dreads. They have a corner on all crime. And as long as you don’t fit that description, the police have no reason to stop, question, harass, arrest, assault, or shoot you. I refuse to believe Mackie doesn’t know better. He’s doing well for himself, but he isn’t Oprah or Forrest Whitaker. Both have been victims of “shopping while Black.” And ironically, both are stars of The Butler, another Black/race-themed movie criminally snubbed by The Academy. Maybe Mackie doesn’t believe a word of what he said in that interview. Maybe he is doing all of this to look more shiny and safe to the Whites that exhibit influence in the industry. Or maybe he is one of those misguided individuals who would prefer to ignore the painful truth right in front of him. Either way, this is not a path to progress. For progress, we don’t need to confine ourselves to specific hairstyles. We don’t need to play “Model Minority” politics or present ourselves as respectable to be properly recognized. We don’t need to hide race so our White counterparts won’t be uncomfortable. What we need is for those in the spotlight to speak for those in the shadows. 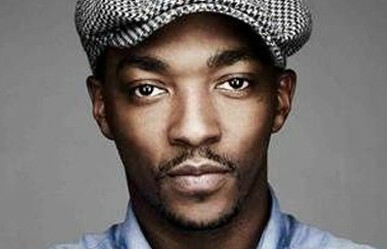 We need the superhero Anthony Mackie portrays on screen. And we need him to be that, publicly, whenever he gets the opportunity.